He performed at Wacona High School from the fall of 1949 until summer of 1952. As a sophomore he played on the football team and they finished the year with a 0-10 record. With respect to their record, it must be remembered that it was only the second year that Wacona had fielded a football team. The adversity and hard knocks he experienced that season manifest itself in a determination to never let that happen again. 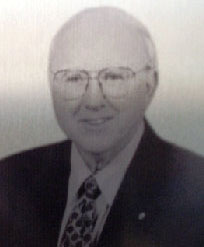 He was also a member of the basketball and baseball teams in the spring of 1950. As a junior he became a starter on the Hornet football team. He was a half-back on both offense and defense. His ability and determination were instrumental in improving Wacona’s record of 0-10 the year before to a very respectable 6-4 mark in 1950. He was also a starter on the basketball team that school term and helped the baseball team to capture the 8th District championship. Jerry continued to play half-back on both offense and defense his senior year. He had a very good year as the squad finished the regular season unbeaten with a 10-0 record. The Hornets won the 8th District crown but lost to Cordele in the Region 1B playoffs. He was a starter on the basketball team for the second straight year. He closed out his high school career by leading their baseball club to its second 8th District championship in a row. The club went on to the state playoffs. After high school, Jerry continued to play semi-pro baseball, basketball and fast-pitch softball for many years. While playing with the Mormon Church team in the Twin Rivers Baseball League (Semi-Pro) he won the Jenkins Award as the league’s most valuable player. Jerry played for Pet Dairy, National Guard, ACL RR, Waycross Ward Mormon Church, Waycross Merchants, Amvets, and Georgia Milk teams over the years. He is married to the former Jeanette Vining and they have five children.